Nearly 2000 sculptured stones survive from early medieval Scotland (AD 500–1100). These range from unworked boulders incised with simple crosses to magnificent free-standing crosses and cross-slabs up to three metres or more in height, such as those from Iona, Ruthwell and Aberlemno. The finest, such as the Nigg cross-slab, rank among Scotland’s greatest artworks. 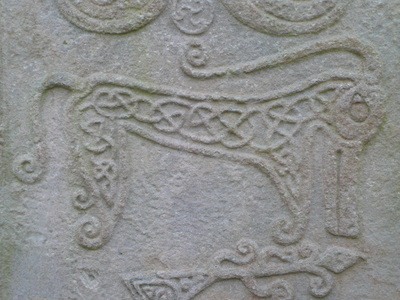 They are decorated in regional versions of the ‘Insular’ art style common to all the peoples of Britain and Ireland, both Anglo-Saxon and Celtic-speaking. Rich in Christian symbolism, this art combines intricate geometric ornament (interlace knotwork, spirals, key-patterns) with figurative scenes depicting Christian imagery and details of everyday life, including dress, transport and weaponry. 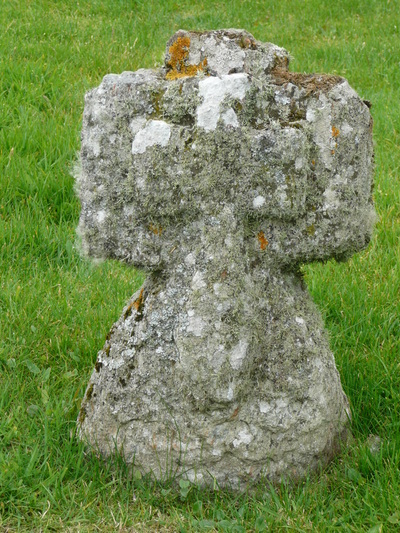 The range of functions of these monuments is wide: some marked significant points in the landscape (boundaries, routeways, ancestral burial grounds), many stood outside churches or monasteries as a powerful testament to Christian belief and patronage. Some, whether upright or recumbent, marked the graves of prominent people; a smaller number are architectural features, the sole remnants of exceptional churches. 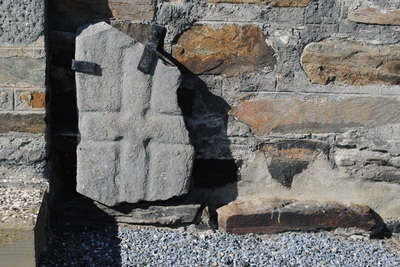 Although the great majority of stone monuments were not inscribed, a number bear short inscriptions: in Latin (the language of the Church) or in Gaelic, Pictish, Old English or Norse; using the Roman alphabet, ogham or runes. 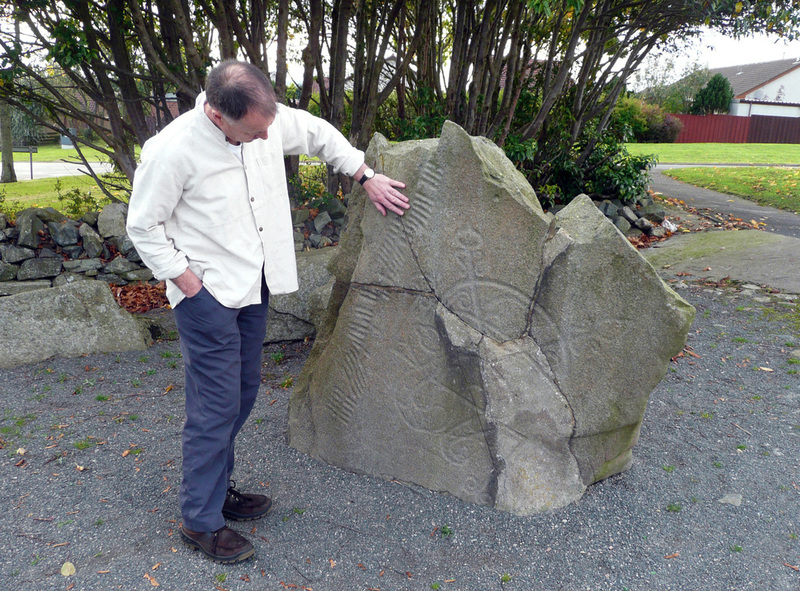 Unique to Scotland is an enigmatic system of graphic motifs known as ‘Pictish symbols’ found on over 250 stones, both unworked pillar-stones and elaborate cross-slabs. 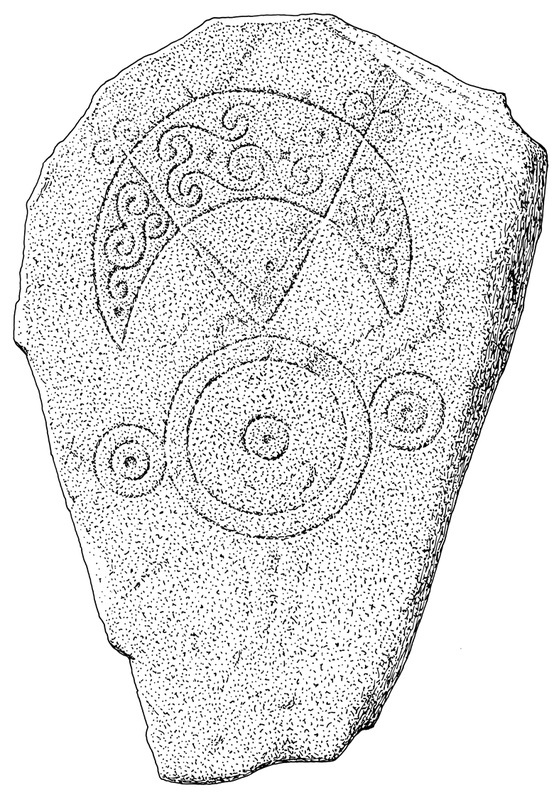 The set of Pictish symbols comprises about three dozen designs. 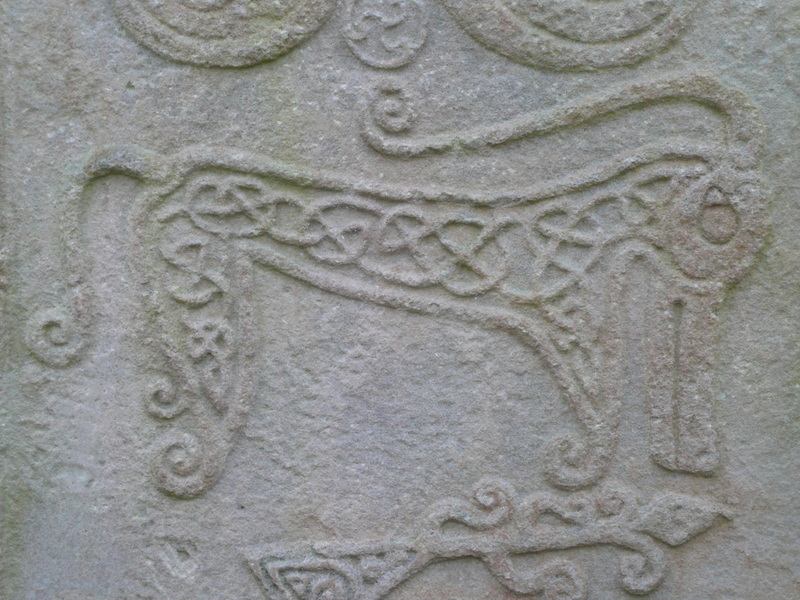 A small proportion of these are recognisable objects and native creatures but most are abstract geometric motifs, the meaning of which remains a mystery. J R Allen and J Anderson 1903. 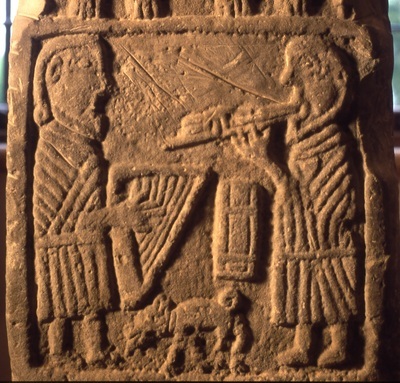 Early Christian Monuments of Scotland. Edinburgh (reprinted 1993, Pinkfoot Press, Balgavies). I Fisher 2001 Early Medieval Sculpture in the West Highlands and Islands. 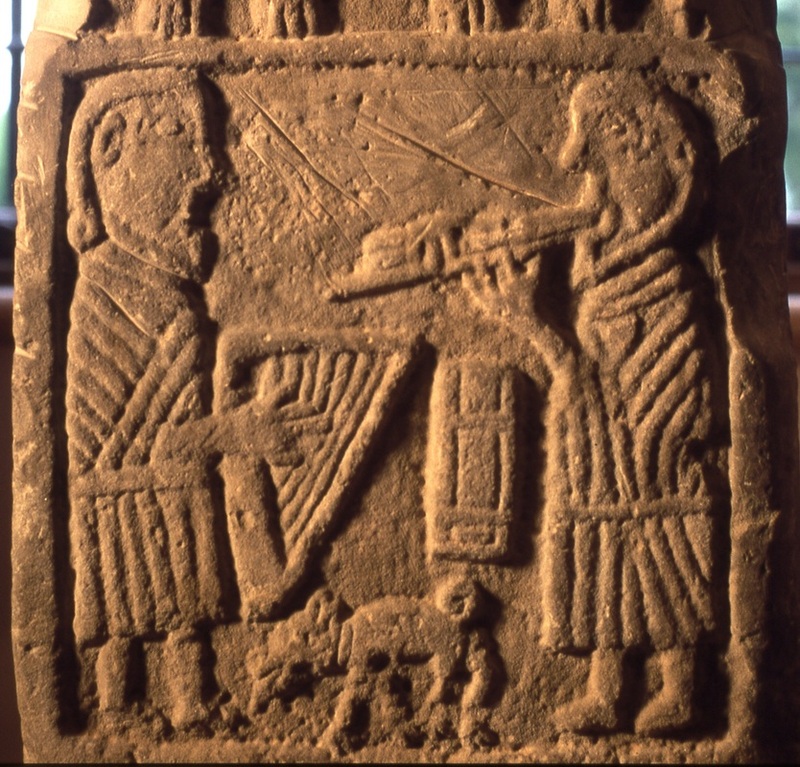 Edinburgh: Royal Commission on the Ancient and Historic Monuments of Scotland/Society of Antiquaries of Scotland. I Fraser 2008. The Pictish Symbol Stones of Scotland. 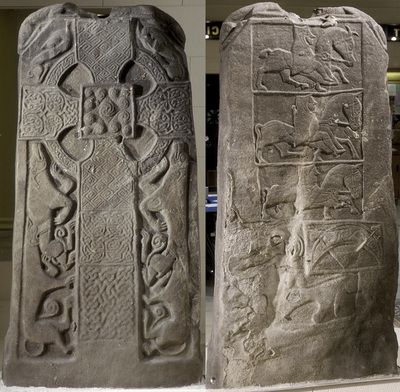 Edinburgh: Royal Commission on the Ancient and Historic Monuments of Scotland. G Henderson and I Henderson 2005. 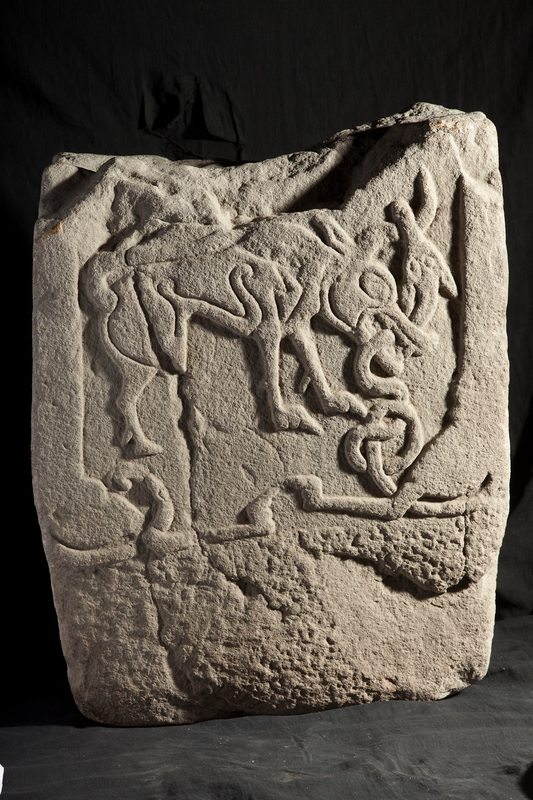 The Art of the Picts. London: Thames and Hudson.